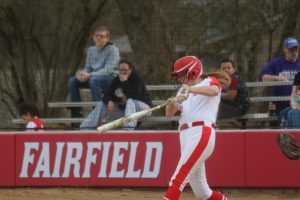 The varsity softball team handled Colerain yesterday 11-1 in 6 innings. Senior Hannah Miller notched her second win of the week in the circle and doubled with 3 RBI’s. Senior Lindsey Mitchell tripled twice scored 2 runs and had 2 RBI’s. Junior Maiah Hodge was 3 for 4 with 3 runs scored, 4 stolen bases and 2 RBI’s. The team is now 7 and 3 and hosts Mt. Notre Dame today and travels to Mason tomorrow.